Lightning Process Practitioner Training at the Lightning Process Headquarters in London. To become a registered Lightning Process practitioner takes a minimum of 14-months. I studied full time and went on to take the advanced practitioner training. The first 10-months of study combine lectures with clinical practice held in small groups with a client and a tutor. Students are assessed throughout the course and will only be entered into the final examinations if they have acquired the required level of skill. If this stage is passed, students gain certified accreditation as practitioner of NLP. The Lightning Process training is a significant step up that requires much work. This, in turn culminates in a lengthy and intense examination process, which includes the delivery of the Lightning Process course conducted with clients in front of a panel of examiners. I was privileged to be trained by Phil Parker – the designer of the Lightning Process. The Lightning Process continues to be refined and developed year upon year. Registered practitioners maintain quality of what they do through Continued Professional Development training to stay up to date. 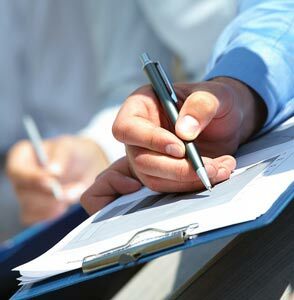 In addition Registered practitioners agree to supervision of their training which is organized by head office. All Registered practitioners abide by a strict code of ethics and Professional Conduct as outlined in their licences. All Registered practitioners must hold a current Criminal Records Bureau (CRB) certificate.